Running a successful hotel or restaurant requires that your employees look and perform their best night in and night out. This starts with quality uniforms that both look good and keep employees comfortable. If you are searching for a sleek and breathable uniform choice for your waitresses and hostesses, check out this Restaurant Hospitality Bow Blouse from our team here Averill's Sharper Uniforms, the internet's most-trusted source for fancy restaurant shirts. 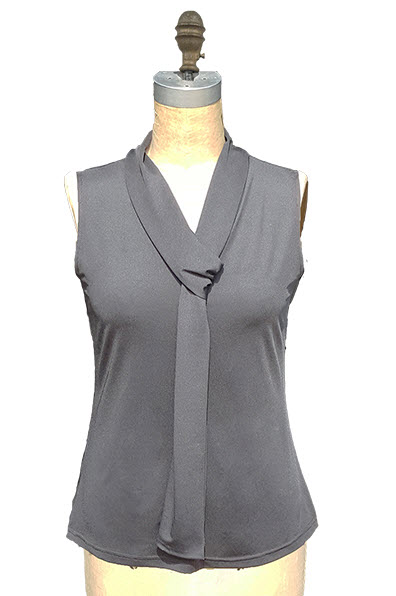 This functional and fashionable blouse features a sleeveless shell with comfortable 2-way stretch. It offers a flattering silhouette and looks nice tucked in or out. The versatile blouse can be worn alone or under any blazer for a truly elegant look in any setting. Have your staff echo the posh ambiance of your restaurant with this Restaurant Hospitality Bow Blouse tasteful styles from Averill's Sharper Uniforms, your trusted source for fancy restaurant shirts and more.